An Anchorage man who strangled a woman unconscious on the side of a road, all while threatening to kill her, and then masturbated on her, walked out of court on Wednesday with no future jail time under his belt. But apparently a slap on the wrist is all Schneider needs. 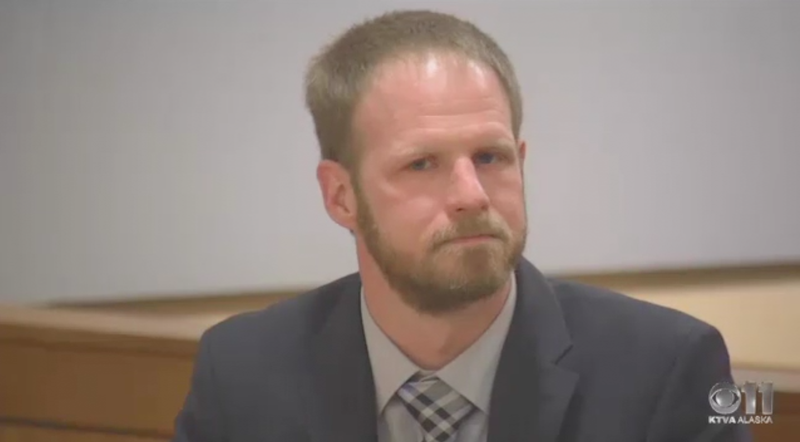 Assistant District Attorney Andrew Grannik told KTVA that Schneider losing his job was basically “a life sentence” and that he “hope it doesn’t happen again.” The Judge presiding over the case was similarly optimistic, noting that he’s a member of the community. “This can never happen again,” he told Schneider. Well, that’ll sure do it, don’t you think! Although I’d argue that it’s better to hear “it won’t” and “it will not” happen again as opposed to “I hope it doesn’t” or “it can never” happen again. But what do I know? I’m just a woman who doesn’t want to be strangled and assaulted, and who lives in constant fear all the time of the sometimes covert and widely unbelieved violent behavior men love to inflict on women.